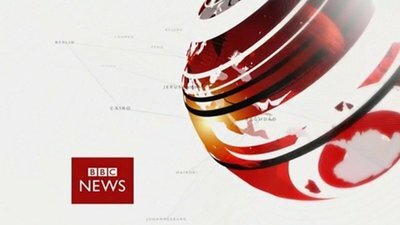 Just recently BBC News has been criticised for spending too much time covering the the departure of the Manchester United football manager, and showing it as the main story on their programme. They spent twice as much time on it as they did about Ukraine. Do you think news channels give a balanced coverage, or do they focus too much on the wrong things. Are there any particular news channels you think are better than others? I only watch BBC News, so I am not sure what the coverage of other channels are like. I do, however think they spend too much time going over the same thing again and again when they could move onto something else. People now realise the ( News ) in their country is 'feeding people' what ('they') would have them know. Not what is the real news, but what they want people to hear about. Hence: The reason why you heard about the same story over and over,do they think people are stupid or something? Are other things more important to report? Question is, 'why' do they continue to 'numb down' people. It matters not on the ''News'' you prefer, they all seem to have the same agenda. If you want the best news I have found ''Al Jazeera'' is one way. Also get it on your computer. You will NOT get the real news from any main stream news, on t.v. It is a lot more sinister, than people think...what they are told, and what really is happening, in the world.Everything has an effect, so better not tell the masses too much. Political affilliations are too prevalent. Channel 7 news described the budget as "Brutal" and "Cut Throat". I dont expect News programmes to express views of this kind. The electorate should be allowed to make up their own mind on Political situations and not be "Led by the nose" on emotive, populist issues. Stay balanced please. No there is not a balanced coverage. For the best and most comprehensive news I watch SBS.